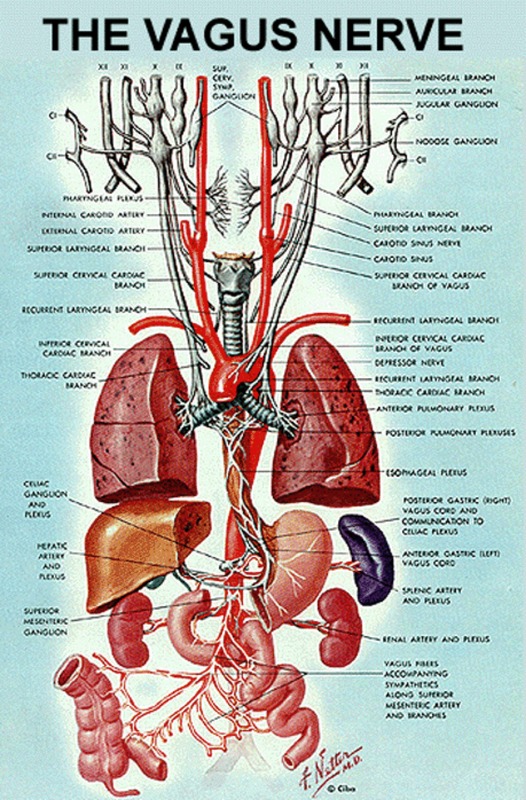 Before the widespread availability of proton pump inhibitors, to reduce acid secretion patients suffering from gastric ulcers were treated by cutting the vagus nerve – a surgical procedure known as a vagotomy. Dr. Kaufmann was asked by the Annals of Neurology to comment on a new study from Denmark showing that patients who underwent vagotomy had less risk of developing Parkinson disease. Sounds far fetched? As Dr. Kaufmann points out in his editorial – published this month – it might not be. Biology has a long history of learning from ablations and amputations. There is now quite convincing evidence that Parkinson disease is caused by the prion-like spread of the mis-folded protein alpha-synuclein. Furthermore, when injected into the stomach of animals, alpha-synuclein can be watched as it travels to the brain within the vagus nerve. Cutting the vagal highway may block one point of entry for the prion-like alpha-synuclein. The findings of the study might pave the way for a new therapeutic angle to stop the spread of alpha-synuclein from the gut to the brain. Posted in editorial, horacio kaufmann, research papers and tagged annals of neurology, autonomic, Parkinson disease, publication, research, synuclein. Bookmark the permalink.